I have to share a tip with you that if you don’t know about it yet, will change your life at meals when you have small kids. Whenever possible, I use a pizza cutter instead of a knife. This is especially handy on something like pancakes. 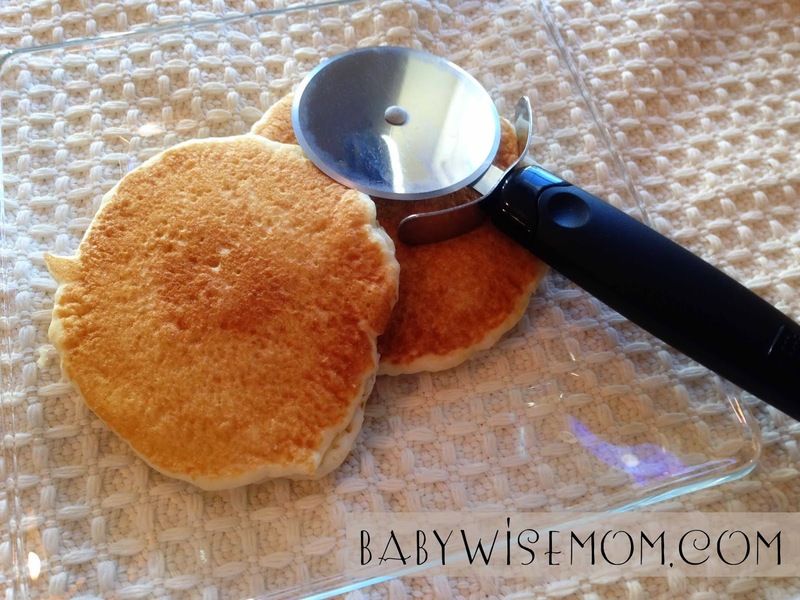 Anything you need to cut into bite size pieces for your children that a pizza cutter can get through, do it! Using a pizza cutter is so much faster than using the “old fashioned” knife and fork way. Give it a try! Do you have any tips that make your life easier? Love this one! Another tip I learned is the bed sheet "sandwich". You layer a waterproof mattress pad, fitted sheet, then another waterproof mattress pad & another fitted sheet on your kids' bed(s) (we do this in the crib too). If you have accidents or illness in the night you only have to strip the top layer off & you have fresh sheets underneath! Ooh that is a good idea! I will have to try that out! What a great tip! And a tip for you! Have you checked out Serial podcast? I think you would like it given your love for writing. It is a really fun script. Enjoy! I hadn't heard of it! I will have to check it out. Thank you! I hope you find it useful. We use it a whole lot! We use a pair of utility scissors to cut food, including pizza.